Michael’s practice covers all aspects of commercial litigation and arbitration. He appears regularly in the High Court in a wide range of commercial cases. He has worked on a number of very high-value civil fraud claims and joint venture disputes and is currently instructed in Renova Industries Ltd and others v Emmerson International Corporation and others, which involves a claim for around US$1 billion concerning a joint venture relating to Russian energy assets. He is also currently working on a high-value ICC arbitration claim relating to the sale of an interest in an oil field. In recent years, Michael has also been instructed in a number of major competition law disputes. 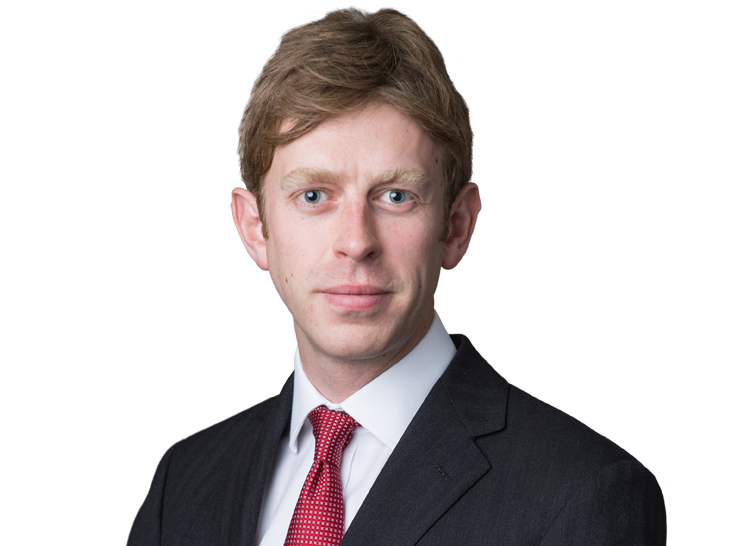 Filatona Trading Ltd and Oleg Deripaska v Navigator Equities Ltd and others (Commercial Court): acting for the claimants in a challenge to arbitral awards relating to a joint venture dispute concerning a Russian textiles company. Renova Industries Ltd and others v Emmerson International Corporation and others (BVI Commercial Court); acting for the claimants in a dispute worth around US$1 billion concerning a joint venture relating to Russian energy assets (with Mark Howard QC and Simon Birt QC). Chilcott UK Ltd and another v Patel and another (Commercial Court); acting for the claimants in case involving claims for breach of warranties contained in a share purchase agreement (with Jemima Stratford QC). Acting for the defendant in an ICC arbitration concerning a multi-million pound claim for an indemnity under a contract relating to the provision of personnel at a gas processing facility in Algeria (with Richard Slade QC). CitizenM LND St Paul’s Properties BV v Chil Ltd and others (Chancery Division and Court of Appeal): representing the claimant in a contractual dispute concerning a joint venture relating to the development of a plot of land in central London for use as a hotel (with Simon Salzedo QC). Ardila Investments NV v ENRC NV (Commercial Court): acting for the claimant in a claim for US$285 million owed under a share purchase agreement relating to an iron ore mine in Brazil (with Neil Calver QC and Stephen Midwinter). Advising in relation to a claim for over £45 million brought against a commercial property consultancy involving allegations of negligence and breach of contract. Advising in relation to allegations concerning the mis-selling of sovereign bonds worth a total of around US$700 million. LA Leisure Ltd v Fitness Agents Ltd (Mercantile Court): acting for the defendant in a dispute relating to the provision of personal trainers at fitness clubs involving various allegations of breach of contract. Representing the claimant in an arbitration under the LCIA rules worth several billion dollars involving a shareholders’ dispute concerning contracts entered into by a major Russian commodity company (with Mark Howard QC and others). Davenport Capital Ltd v EBG (Mercantile Court): acting for the defendant in a claim brought by a consultancy firm for sums said to be owed as a debt and/or as damages, or by way of restitution, for services allegedly rendered in connection with the establishment of a private equity fund. Corbiere Ltd and others v Xu (Chancery Division): representing the claimant in a successful application for a worldwide freezing order against a defendant in a claim for damages for misuse of confidential information (with Michael Swainston QC). Advising in relation to a dispute concerning a long-term electricity contract worth several million dollars entered into by the subsidiary of a major Russian commodity company (with Neil Calver QC and Andrew Henshaw QC). Acting for the claimant in an arbitration under the LCIA rules involving allegations of economic duress and breach of contract, worth over US$50 million (with Andrew Henshaw QC). Acting for the defendant in case involving a challenge to an arbitral award under section 68 of the Arbitration Act 1996 on the basis of a decision by the tribunal not to permit the other party to amend its statement of case shortly before the final hearing (with Andrew Henshaw QC). AC Gold Biomass Ltd v Burrows (Commercial Court): acting for the claimant in a challenge to an arbitral award under s.68 of the Arbitration Act 1996. Federal Deposit Insurance Company v Barclays Bank Plc and others (Chancery Division): acting for the claimant (as receiver of a number of failed US retail banks) in a claim for damages against certain USD LIBOR panel banks and the British Bankers' Association for, amongst other things, breach of Article 101 TFEU arising out of the defendants' alleged collusive suppression of USD LIBOR rates (with Marie Demetriou QC and others). Apple Retail UK Limited and others v Nokia Solutions and Networks UK Limited (Chancery Division): acting for the defendants in a case concerning allegations that they have failed to offer a licence to standard-essential mobile phone patents on FRAND terms and conditions (with Jemima Stratford QC and Sarah Abram). Cousins Material House Limited v The Swatch Group AG and others: representing the claimant in a claim for damages and injunctive relief arising out of an alleged breach of Article 102 TFEU relating to the defendants' decision to terminate supplies to the claimant of spare parts and components for watches (with Robert O'Donoghue QC). GTS Gas Turbine Services S.A. v Rolls-Royce Holdings Plc (Chancery Division): representing the claimant in a claim for damages and injunctive relief arising out of an alleged breach of Article 102 TFEU and/or section 18 of the Competition Act 1998 due to a refusal to supply spare parts and components for gas turbines to an intermediary (with Robert O’Donoghue QC). LM Ericsson v Apple Retail UK Ltd and another (Chancery Division): acting for the claimant in a dispute concerning the obligations of a holder of standard-essential mobile phone patents to grant licences on FRAND terms and conditions (with Jemima Stratford QC and others). Unwired Planet International Ltd v Huawei Technologies Co. Ltd and others (Chancery Division): acting for the claimant in a dispute concerning the obligations of a holder of standard-essential mobile phone patents to grant licences on FRAND terms (with Jemima Stratford QC and others). R (Philip Morris Brands Sàrl and another) v Secretary of State for Health (Administrative Court): acting for the claimant in a challenge to the Secretary of State’s intention to implement Directive 2014/40/EU (the Second Tobacco Products Directive) (with Marie Demetriou QC and Daniel Piccinin). R (Philip Morris Brands Sàrl and another) v Secretary of State for Health (Administrative Court): acting for the claimant in a challenge to the Standardised Packaging of Tobacco Products Regulations 2015 (with Marie Demetriou QC and Daniel Piccinin). Allpay Ltd v City of Bradford Metropolitan District Council (TCC): acting for the defendant in a claim challenging a tender exercise under the public procurement regulations. Brit UW Ltd v F&B Trenchless Solutions Ltd (Commercial Court): representing insurers in a successful claim for a declaration that a contractors’ combined liability insurance policy had been validly avoided on the basis of non-disclosure and misrepresentation by the insured (with Neil Calver QC). Sartex Quilts & Textiles Ltd v Henderson Insurance Brokers Ltd (Commercial Court): defending an insurance broker in a claim for negligence concerning the placing of material damage and business interruption cover (with Neil Calver QC). Eurokey Recycling Ltd v Giles Insurance Brokers Ltd (Commercial Court): successfully defending an insurance broker in a negligence claim for over £20 million concerning the placing of material damage and business interruption cover (with Neil Calver QC). Michael has also provided confidential advice in relation to numerous insurance coverage disputes and allegations of misrepresentation and non-disclosure. In particular, Michael has provided advice in relation to several marine insurance policies and also advised in relation to a multi-million dollar claim under a contractors’ all risks insurance policy relating to the construction of a motorway in Qatar. Essar Shipping Ltd v Bank of China Ltd (Commercial Court), an application for an anti-suit injunction to restrain the pursuit of proceedings in China allegedly brought in breach of an arbitration agreement incorporated into a bill of lading contract (with Richard Lord QC). Arcadia Energy (Suisse) S.A. and another v Ubah and others (Commercial Court), an application for an interim anti-suit injunction to restrain the defendants from continuing proceedings in Nigeria in breach of an exclusive jurisdiction clause contained in a settlement agreement relating to a dispute concerning the sale of oil and a vessel (with Richard Lord QC).